Hetal Industries is a result of the Technical skills and Managerial skills of Mr. Parth (Proprietor) who came together in the year 2010. From last two years, the company is prospering and exploring new heights of success as Manufacturer and Supplier of Plastic Products such as Plastic Woven Bags, Plastic Woven Fabric Rolls, PP Printed Sacks, HDPE Woven Sacks, etc. Located in Umbergaon (Gujarat), the company is dominantly covering the markets of Maharashtra and Gujarat. 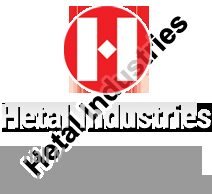 â��Hetal Industriesâ�� is led by Mr. Parth Sonpal (MBA-Operations) who has vast domain experience due to his tenure of 6years at "UPL" the agro-chemical giant of India. The company is technically headed Vedar who is in the same field since last 18 years at different levels. The company is leveraging on well-developed facilities. The manufacturing activity is carried out in a 4000 square feet building that is equipped with 3 color Printing Machine, Cutting Table, Reversing Stand, and High speed Sewing Machines. As well, we are immensely supported by a talented team. The team comprises trained staff and workmen who with their vast industry experience enable the organization to excel. â��Hetal Industriesâ�� is located at Umbergaon which is about 150 km from Mumbai & 140 km from Surat located on the costal bed of Arabian Sea. This town is very well connected by rail and road by the means of the main broad gauge line of Western Railway and four-way National High No. 8 (Mumbai-Ahmedabad-Delhi) just 17km away from the industrial hub. Thus on a very short notice, we are able to cater to the requirements of the areas that are in close proximity to Umbergaon.